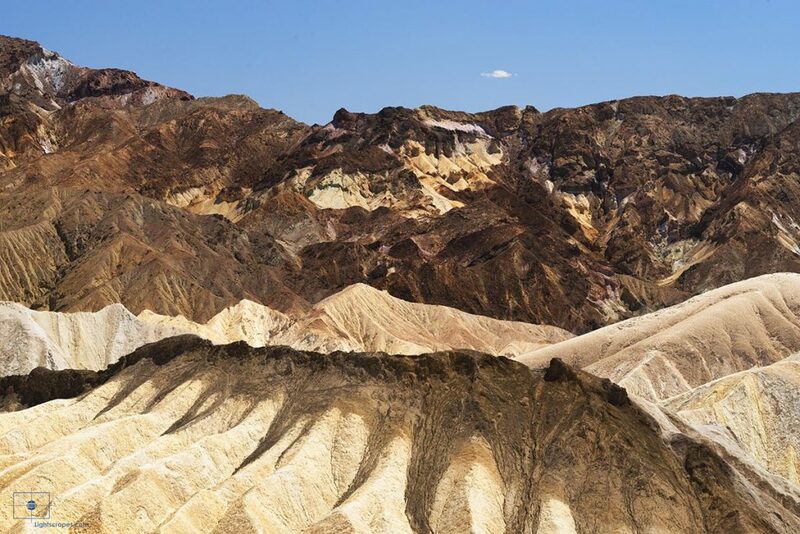 Landscape of badlands from Zabriskie Point in Death Valley, California. In the foreground of the image the badlands are seen as water carved bone-dry rills in the golden brown sedimentary rock. Dark material capping the badland ridge formations is ash from ancient volcanic eruptions. In the background of the photo are mountains the Amargosa Range which forms the eastern boarder of Death Valley.